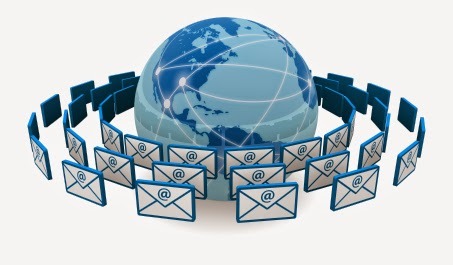 Connecting the World: No email in the evening? Shocking. It created quite a stir among readers who most often write about being overwhelmed by email 24/7 or eagerly read about others taking an “email sabbatical”. It turns out that the ban will effect about less about a quarter of a million workers – not the entire French professional population and that France is not the only country to try to protect their worker’s evenings. (No email after 6:00 pm). Germany has a similar law. Taken out of context it’s quite amazing. Legislating when people can send and receive email. But legislation to protect workers from working too much, to insure there’s time to spend with families isn’t new in France or in Germany either. There are strict limits on operating hours for retail establishments. Don’t try to shop for groceries on or most anything else on a Sunday or most days after 8:00 pm. No running into Ralph’s (a major grocery chain in Los Angeles) at midnight to pick up yogurt and fruit for breakfast. This legislation can be seen as a reminder to those of us focused on doing as much as possible as quickly as possible, who are excited that Amazon is moving toward same day delivery so we can get what we want faster http://online.wsj.com/news/articles/SB10001424052702304788404579521522792859890 that not everyone follows that path. In some places the emphasis is on people and relationships rather than schedules and tasks. Something to consider as we plan our next business trip. Maybe we should allow some extra time to have that lunch, dinner or a conversation with our colleagues instead checking our email and voice mail one more time.